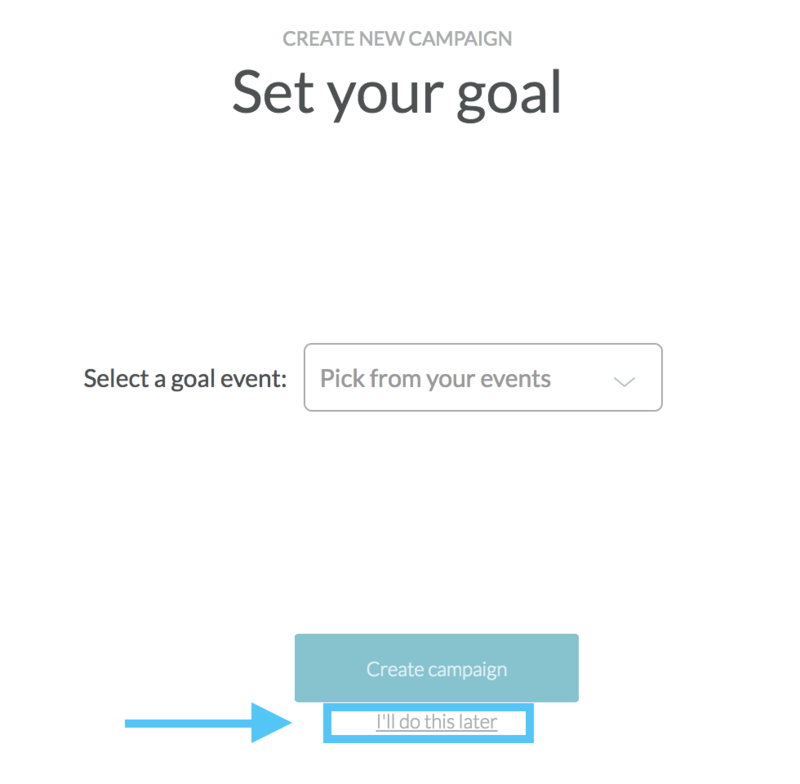 Now that data is being sent from your development app to your Connect account, it’s time to build your first campaign. Since this is a test campaign, we recommend using the sample below or a similarly simple campaign for testing before jumping into complex use cases. Let’s go into each section of a campaign so that we can save a draft. The first section of the campaign creation editor page is Who should receive this message? 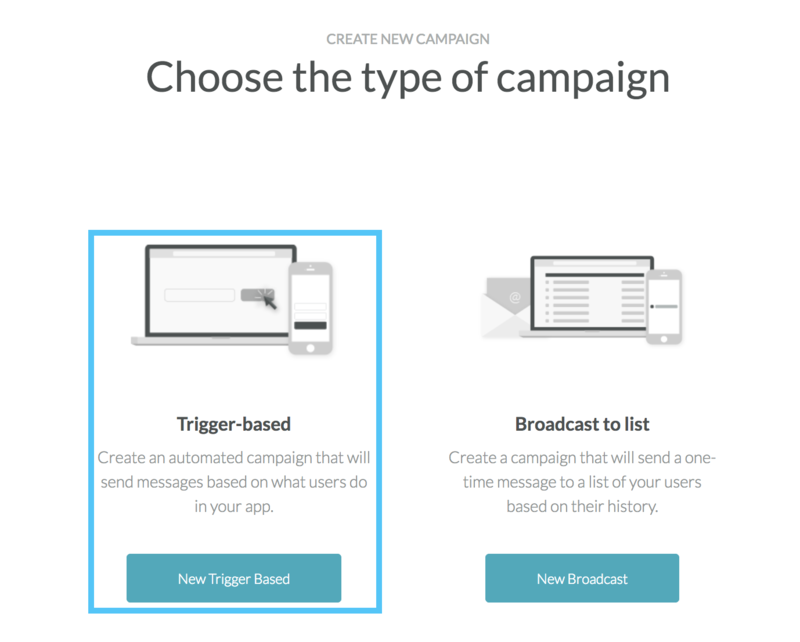 If you would like more details on what each step in the workflow is used for, you can refer to our trigger-based campaign guide. Now that we determined our audience in the previous section, it is time to build the message we want to send to these users. 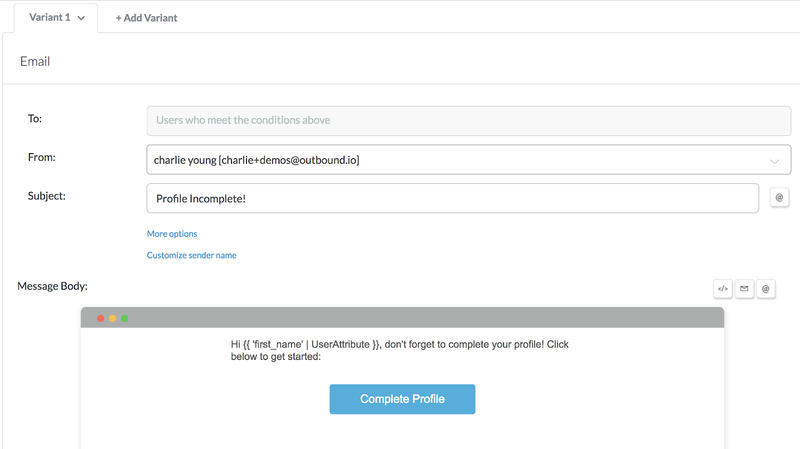 For this example, we are going to stick to email (refer to our Channels docs for other messaging channels). Once you’re finished, click the Save button and wait until ✓Saved! appears next to the button. For this campaign we will not setup a A/B test. To learn more about A/B testing, you can click here. Now that we have gone through all three sections, click the Save draft & Preview button. If there are any difficulties saving, please check that you are not missing any required fields, like an email subject or a value for a filter. Return to 2.4: Implementing Connect for your test app , or continue on to 2.6: Testing your campaign . 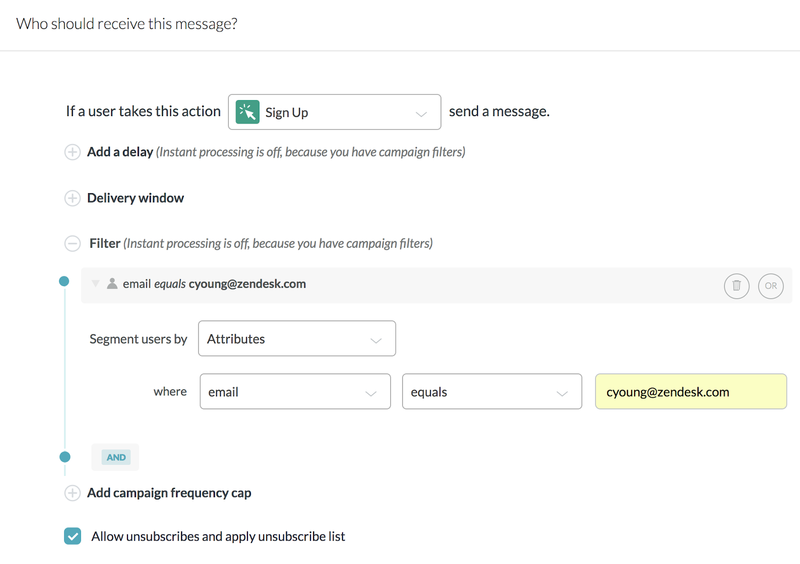 Is it possible to send multiple emails in a single broadcast campaign? I think it would be useful to have a single campaign about service disruptions, and allow users to opt out of all notifications on this campaign.